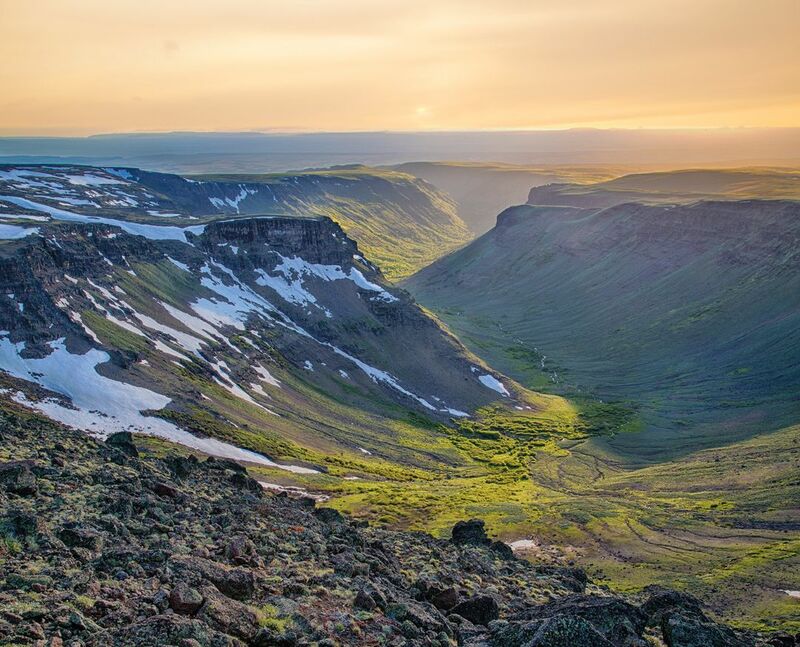 You can see Steens Mountain from hundreds of miles away, slowly rising on the flat horizon of southeastern Oregon; the near-10,000-foot, 30-mile-long block of basalt is so titanic, it’s often confused for an entire mountain range. This improvised loop leads hikers up and down two massive, U-shaped gorges (Blitzen and Big Indian), both carved out in the last ice age and reminiscent of extreme Icelandic landscapes. Here, you’ll be treated to gushing waterfalls, deep canyons, and endless views from your sky-high perch above the cracked white earth of the Alvord Desert. Yes, it will take you a solid seven hours just to get to the trailhead. And sure, rattlesnakes are a bit of an “issue” out here. Plus, you probably won’t see another human on this trip. 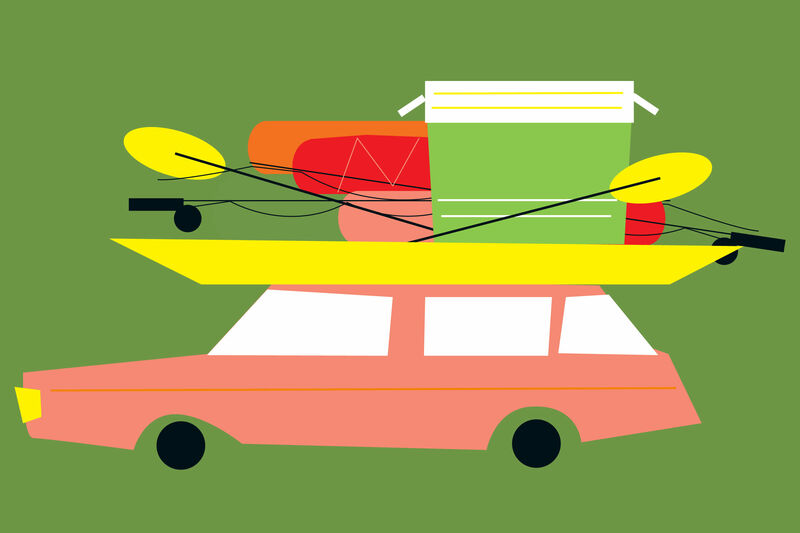 But this odyssey, which follows a “bench” about halfway between the Snake River and Summit Ridge, in the middle of the deepest river gorge in North America, rewards every ounce of effort. 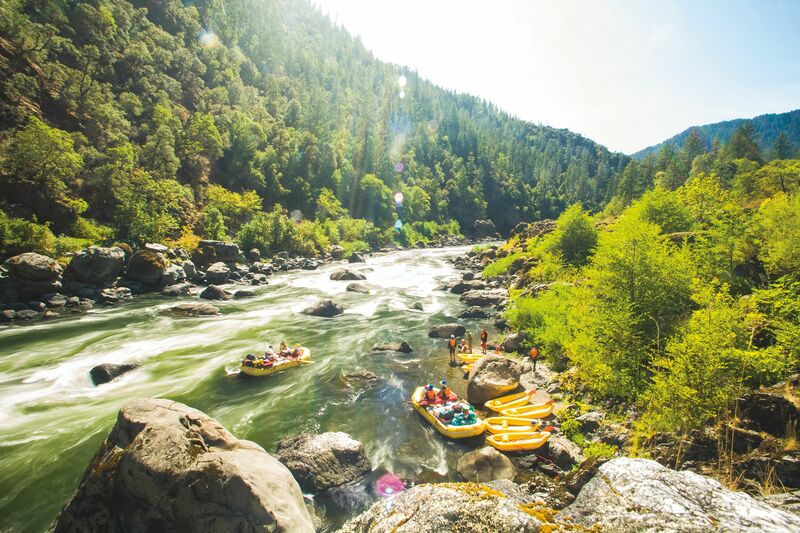 Straddling Oregon and Idaho, the canyon itself is a marvel—barren, steep slopes mix with towering peaks, alpine lakes, sprawling grasslands, and groves of ponderosa pine. And this particular route, though harrowing and quite rugged, provides a zigzagging tour of the canyon’s offerings. Bring plenty of water, and clear out plenty of room on your camera. Of all the paths into Oregon’s legendary Wallowa Mountains (there are no shortcuts), none is quite so jaw-dropping as this route through the southeast section of the Eagle Cap Wilderness. The landscape here feels like the love child of California’s Sierra Nevada and the Swiss Alps. 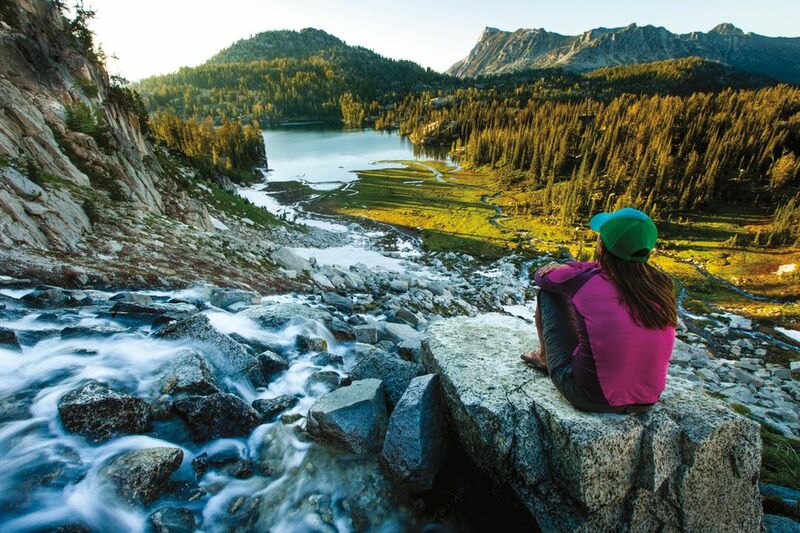 A lengthy, secluded trek leads hikers up into a high-altitude wonderland of white granite, culminating with unbound panoramas of craggy, snow-covered peaks at the summit of Eagle Cap Mountain (9,572 feet) and the deeply turquoise, mirrored surface of Glacier Lake—one of the most spectacular sights in the state. 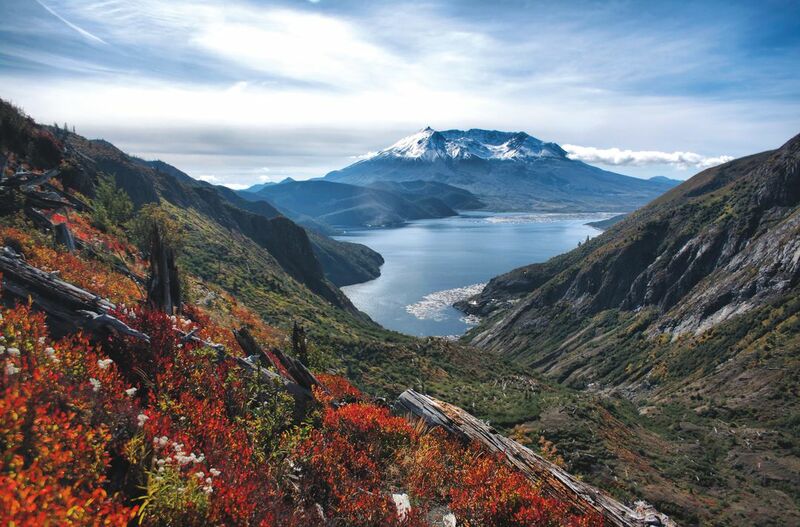 This nearby, short-distance trek rewards early and often, starting with a close-up of Mount St. Helens perched above the eerily tranquil, log-choked Spirit Lake, at mile two. 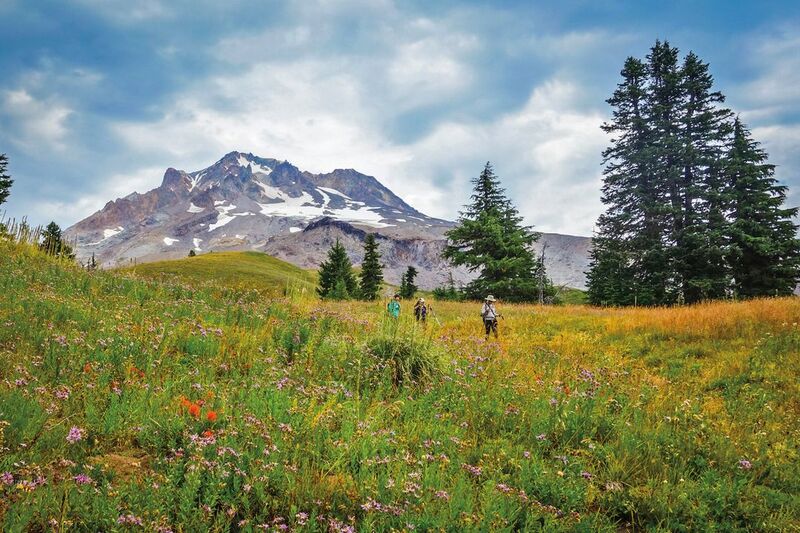 This swath of the Gifford Pinchot National Forest was decimated in 1980 when St. Helens erupted, effectively clearing out all life in the blast radius—but this route offers an unrivaled tour of the area’s regrowth. 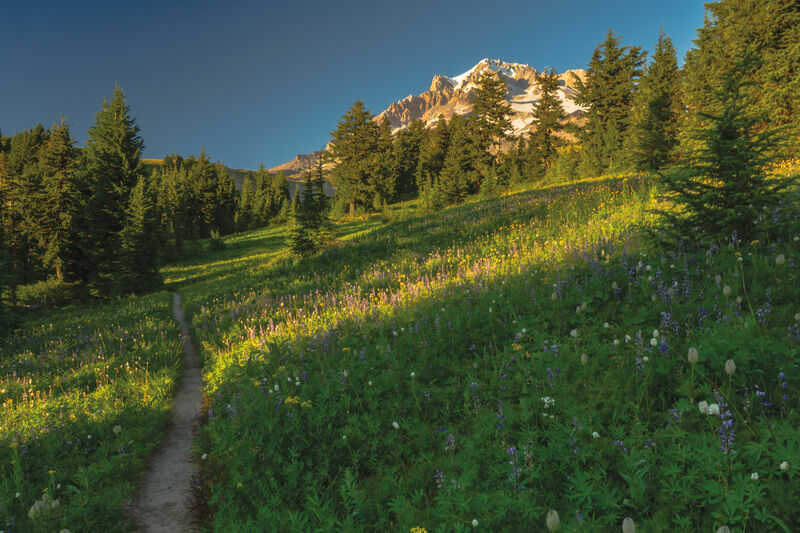 The ashy, shrub- and sapling-studded landscape traverses ridgelines and saddles, with 360-degree views of nearby Mounts Adams, Hood, Jefferson, and Rainier, with St. Helens providing a constant companion and southerly bearing. 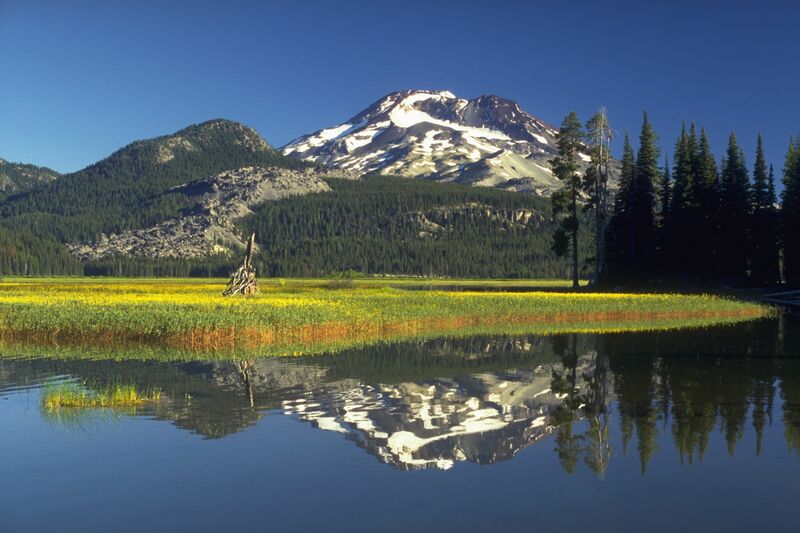 Seek solace and beauty in one of the least crowded wilderness areas in the Beaver State. This mountainous, canyon-rich treasure was named after the pink Kalmiopsis leachiana flower, a pre-ice age relic of the heather family, discovered in 1930 by botanist Lilla Leach. The land was scorched brilliantly by the 2002 Biscuit Fire—so the steep, narrow, rocky trails have been newly restored. 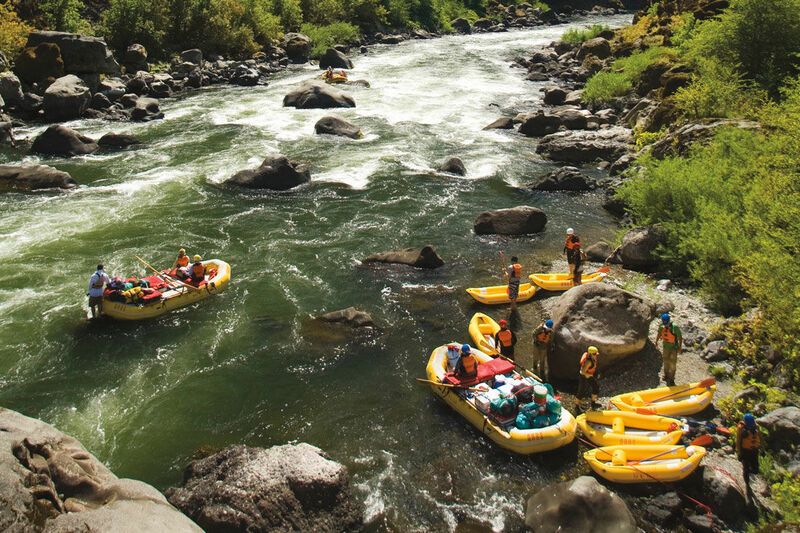 Meander along fire-scrubbed ridges, dip into subalpine lakes, and descend the rugged, deep canyons of the Chetco River, tangled with thick greenery and peridotite rock. It’s hard to find a place that feels quite as secluded and soulful. 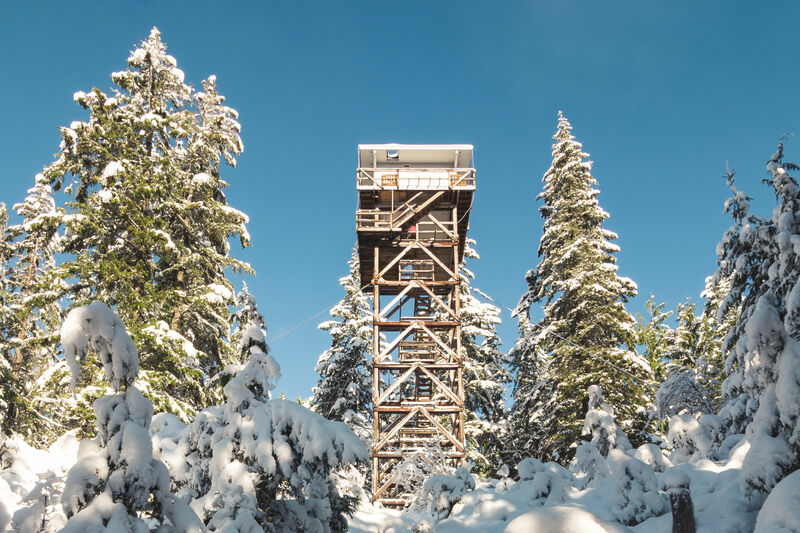 Built in the 1930s by the Civilian Conservation Corps, the Timberline Trail circumnavigates Mount Hood’s rugged, 11,240-foot peak. Ford the gurgling Newton, Sandy, and White Rivers. Tramp through thick old-growth cathedrals of Douglas fir toward mesmerizing cascades like Ramona Falls. 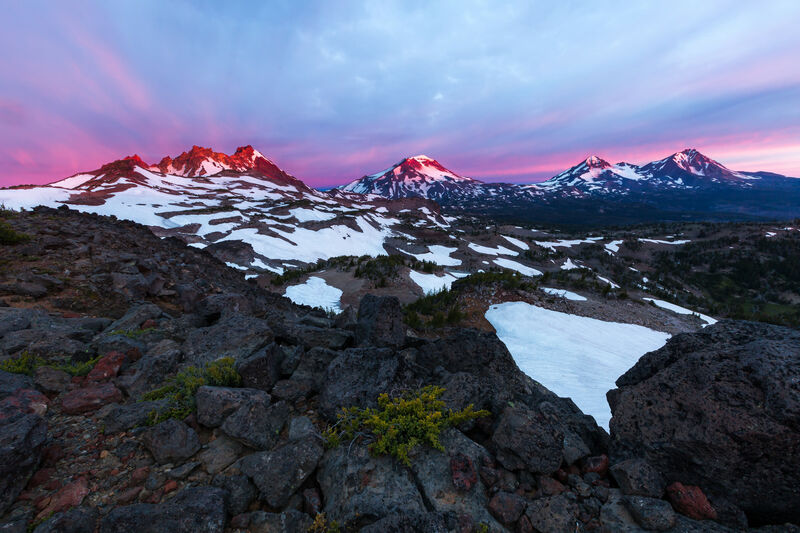 Absorb the colossal views of Cascade peaks from Cooper Spur’s barren pumice plane. And at Elk Cove, gawk at one of the West’s best wildflower displays, laden with western pasque, bear grass, witch’s hair lichen, western trillium, purple lupine, Indian paintbrush, and evergreen huckleberry. 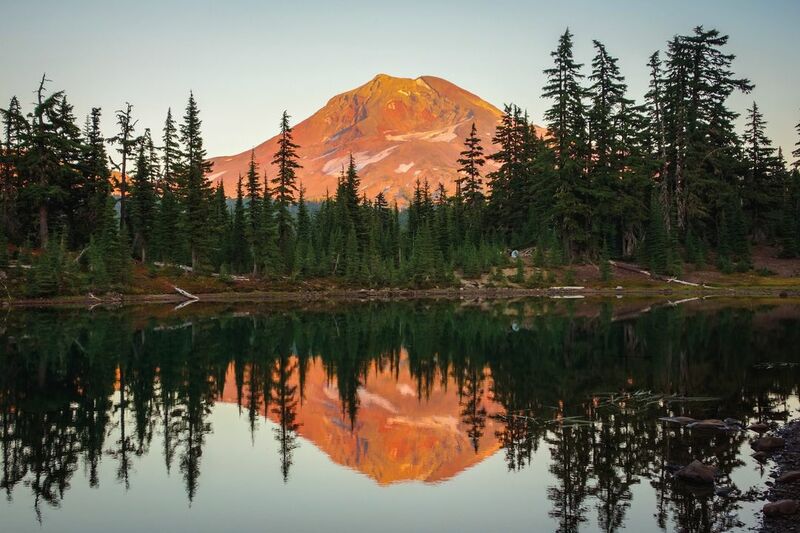 In other words, this iconic trail is a greatest hits of Northwest splendor, and a rite of passage for any Oregonian hiker. Known as “Faith, Hope, and Charity,” Central Oregon’s triad of basalt stratovolcanos reign as landmarks of the high desert. The loop around them leads through distinct and wondrous biozones: expansive, chunky andesite and basalt lava fields, sparsely decorated with brilliant chartreuse lichen; timbered groves of mountain hemlock, western hemlock, ponderosa pine, and lodgepole pine, full of Columbia black-tailed deer, Roosevelt elk, martens, minks, and ruffed grouse; high-desert wildflower meadows, peppered with purple lupine, red Indian paintbrush, columbine, arnica, and larkspur. And the high point, Green Lakes Pass, is flanked by crevasse-riddled glaciers marked with wiry subalpine fir. 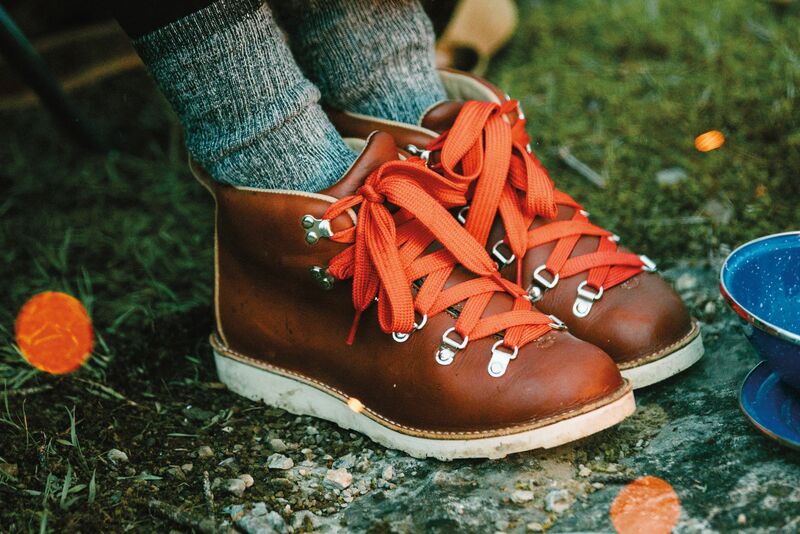 The journey is long, but it’s as varied as they come.